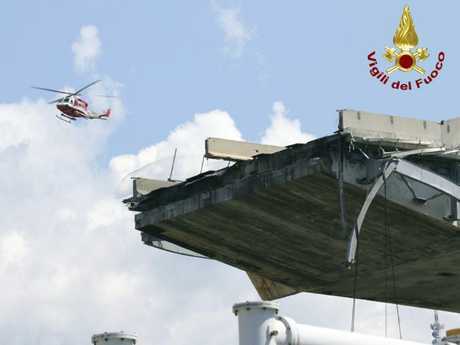 THIRTY-NINE dead, dozens missing and the rubble remnants of the Morandi Bridge in Genoa is a shocking reminder of how much grip the mafia has on Italy's infrastructure. 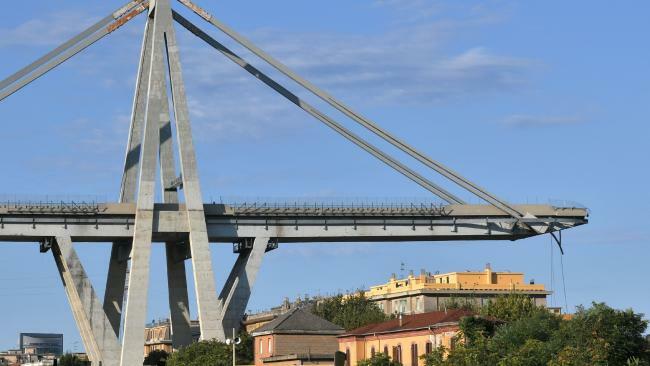 Tuesday's disaster was the tenth bridge to collapse in Italy in the last five years alone, and anti-Mafia campaigners in the country are warning that hundreds of schools, hospitals and airports may also be at risk of collapse, The Sun reports. That's because the Mafia saves money by using a cement which is "cut" with sand, vastly reducing its strength. It's called, in Italian, cemento depotenziato which translates as weakened cement. It's like trying to put up shelves using sticky tape. And that matters because Italy's various mafias - Cosa Nostra ("our thing") in Sicily, the 'Ndrangheta in Calabria and the Camorra in Naples - are all experts at winning building contracts. And their hold doesn't stop there. Match-fixing and ticket sales in football, waste disposal agreements as well as drug and people smuggling have all been lucrative streams of income for the underworld gangs. The system has been the same for decades: Politicians receive votes and kickbacks from criminal gangs who are awarded the contracts for huge construction projects. Many people who have interfered in rigged tender processes have been killed. Long gone are the Hollywood stereotypes of a thug with a Tommy gun and a trilby. Nowadays most Mafiosi wear suits and are indistinguishable from ordinary businessmen. The only difference is the size of their empires. The scale of the corruption is so great that 281 town or city councils have been dissolved by Italian authorities since 1991 because of Mafia infiltration. Often that infiltration only emerges after years of painstaking surveillance by the Italian police. 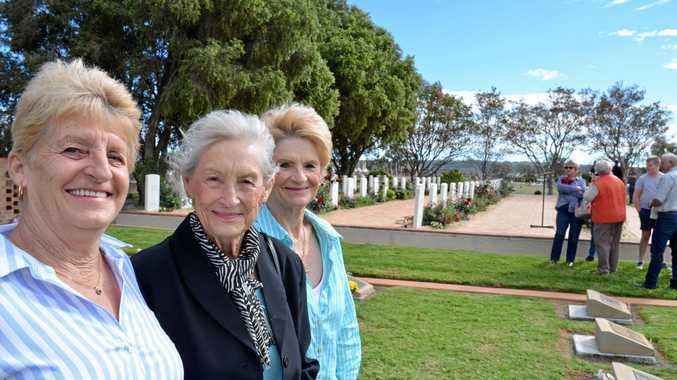 In each of those councils, hundreds of contracts had been awarded, not just for construction, but also for cleaning, rubbish collection, medical provision and park maintenance. Construction appeals to the Mafia because the huge sums involved enable the laundering of dirty drug money. The many subcontracts mean that a criminal gang can find itself hugely empowered, responsible for the hiring and firing of thousands of workers at a time when youth unemployment in Italy bounces around 30 per cent. Costs are kept low, not just through the use of poor building materials, but also through strongarm management - unions are invariably excluded from work sites and safety inspectors intimidated or bought off. It takes a brave person to point out the Mafia's shoddy workmanship. There are, experts say, many more councils where criminal infiltration still hasn't been discovered. Famous Sicilian writer Leonardo Sciascia once warned: "The Mafia doesn't arise in the absence of the state, but inside it." One of the main advantages of infiltrating the construction industry is that it enables the Mafia to disguise itself as a legitimate, respectable business. Since the mid-90s - when the Mafia planted bombs on the Italian mainland and blew up Sicilian investigators - it has deliberately pursued a strategy of invisibility. As one of Italy's anti-Mafia priests said recently: "The Mafia is very able to camouflage itself, to infiltrate into legal spaces." In 2010, anti-Mafia investigators confiscated €1.5 billion ($A2.35 billion) from Cosa Nostra's current "don of dons", the fugitive Matteo Messina Denaro. Much of that figure was linked to construction firms. Although it's often the cause of disasters, the Mafia is also the beneficiary of them. Each time a devastating earthquake hits the country, criminal gangs move in on the reconstruction efforts. Franco Roberti, who was head of Italy's anti-Mafia directorate for four years, told La Repubblica newspaper this week: "The risk of infiltration is always high. Post-earthquake reconstruction is a tasty morsel for criminal organisations and business interests." But the big worry now is that hundreds of structures throughout Italy could be at risk. Legambiente, an anti-Mafia pressure group, has warned that weakened cement has been used at Trapani and Palermo airports in Sicily, as well as in schools, car parks, bridges and motorways throughout the peninsula. 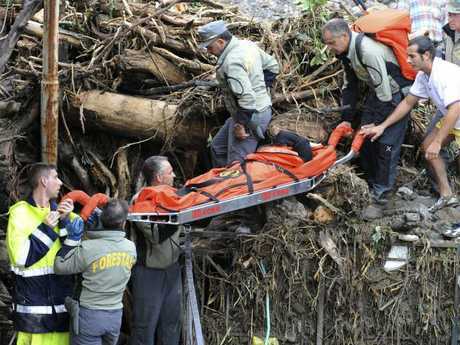 Back in 2009, in a situation eerily similar to this week's bridge collapse, 37 people lost their lives during flash floods in the Sicilian city of Messina. Buildings simply collapsed in the rain because inadequate cement had been used in the construction of houses. Construction is only one of the Mafia's revenues streams. Drug-dealing still represents a cash-cow, but in recent years criminal gangs have also made huge amounts from the exploitation of migrants. One wiretap from 2014 overheard a Rome Mafiosi saying to a colleague: "Do you have any idea how much one can earn through immigrants? Drug-trafficking yields less." Apart from drug and people-smuggling, the Mafia is also adept at siphoning off European Union funding. The murder of the Slovakian journalist Ján Kuciak in February this year is believed to have been a professional hit carried out because he was investigating Italian businessmen from Calabria who were embezzling EU funds. The other big earner for criminal gangs is waste disposal. Here, like construction, it's easy to make money if corners are cut. And through messing with rubbish collection - leaving it rotting on street corners at the height of the summer heat and the tourist season - organised criminals are able to hold cities hostage, making demands for contracts to be renegotiated. Not even Italy's favourite sport is immune from the Mafia. Match fixing in football is frequent in Italy, especially in the lower leagues. Every year or two, there's a scandal when it emerges that betting syndicates have made huge profits after bribing players to throw games. The most recent case was in 2011, when dozens of teams and players colluded to arrange results, taking money from, and making it for, organised crime. The Mafia has even attempted to muscle in on the huge money to be made from ticket sales. In 2016, investigators in Turin discovered that the Calabrian Mafia, the 'Ndrangheta, was procuring free tickets from Juventus in order to sell them on at huge profits: ticket touting was estimated to yield €30,000 ($A47,000) on match day. Ciccio Bucci, the man caught in the middle between Juventus and the Calabrian mafia, committed suicide in suspicious circumstances the day after being questioned by investigators. After Tuesday's tragedy, infrastructure is now at the top of the Italian political agenda. If the taps are turned on again, you can be sure that the people who caused the problems will be offering, once again, to solve them. Tobias Jones lives in Parma. He is writing a book on Italian football.